The Avo Classic Covers 2015 marks a new chapter in the famed annual limited edition series. 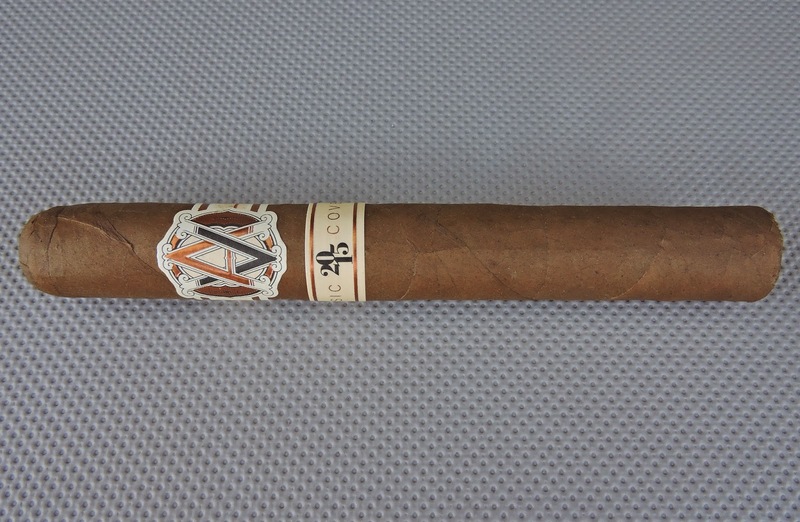 Each year since 2001 the Avo brand would release an “Avo Limited Edition” cigar coinciding with brand ambassador Avo Uvezian’s birthday (March 22nd). Earlier this year, parent company Davidoff gave the Avo brand a makeover. This makeover would consist of rebranding, repackaging, and line consolidations. At the same time it seems a shift was made to shift the focus of the brand from Avo Uvezian the person to the legacy of what Uvezian represents – namely the themes of music and cigars. As result, this year’s limited edition would not be a birthday cigar. Instead 2015’s annual release is being used as a launch for a new limited edition series called Avo Improvisation Series. 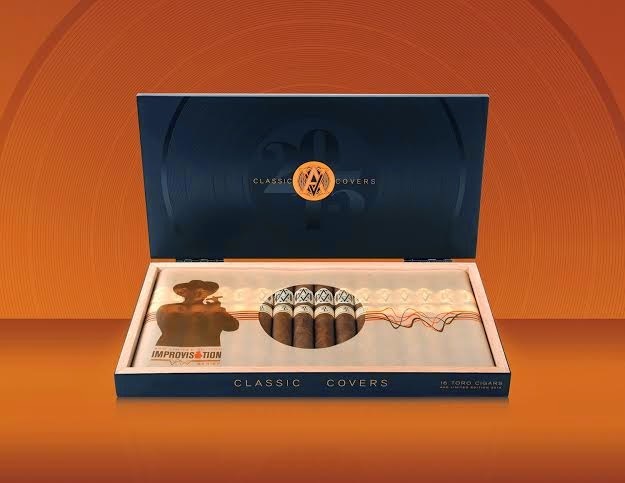 The first cigar of this series is called Avo Classic Covers 2015. As we will see, this cigar keeps true to the direction the brand is taking. As for the cigar itself, it shows this brand hasn’t lost a beat – this is another stellar limited release for the Avo brand. The concept of the Avo Improvisation Series is to draw inspirations from previous Avo releases to create a whole new brand. For the 2015 limited edition cigar, the inspiration is drawn from the Avo Classic line. The blend of Avo Classic line was used as a foundation for the Avo Classic Coves 2015 release. This foundation then incorporated Nicaraguan, Mexican, and Ecuadorian tobaccos to create a whole new blend. Shortly before the rebranding, Avo released a sampler called Avo’s Greatest Hits. This sampler contains each of the annual Avo Limited Edition cigars (minus the 2005 release). While this sampler provided a retrospective to the 14 years of Avo Limited Editions, I found this put closure on the birthday series. Now instead of focusing the limited edition on Uvezian himself (i.e. his birthday), the limited edition focuses on Avo’s legacy of music and “covering” one of his prized cigar lines. 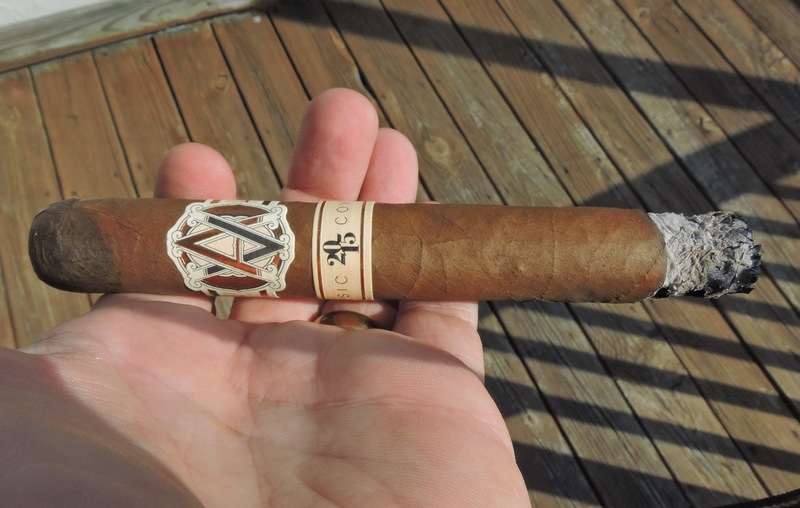 Without further ado, let’s break down the Avo Classic Covers 2015 and see what this cigar brings to the table. There are a lot of interesting points about this blend. First up, the Avo Classic Covers consists of seven different tobaccos from four different countries. The Dominican tobaccos in the filler are what are “covered” by the Avo Classic Covers 2015. There is also Nicaraguan tobacco in the blend – representing the first time this has been incorporated in an Avo blend. The wrapper is an Ecuadorian 702 wrapper that has been used on Davidoff and Avo blends before – most recently it has been seen on the Avo Limted Edition 2012 La Trompeta cigar. Finally this is not the first time a Mexican leaf has been used as binder on an Avo Limited Edition as the Avo Limited Edition 2010 used a Mexican Sumatra leaf as one. The Avo Classic Covers 2015 is available in one size -a 6 x 50 Toro. The cigars are packaged in 16 count boxes with a total allocation of 3,500 boxes (a much more limited production than previous years). Each cigar has an SRP of $16.00. The Ecuadorian 702 wrapper of the Avo Classic Covers has a smooth and silky look to it. The color of the wrapper is almost butterscotch. The wrapper itself does not have much oil on it. While there are some visible veins, the wrapper seams are quite thin. The band has has an antique white background. On the band is a copper, black, and antique white colored Avo logo using the tweaked design that was done as a part of the rebranding. To the left is the text “AVO UVEZIAN” in copper font on a cream colored background. To the right is the logo for the Avo Improvisation Series. This logo feats “IMPROVISATION” in copper font with an orange Avo Uvezian Silhoutte being used in place of the letter “A”. There is copper trim across the top and bottom. There is a secondary band that is also cream colored. It features a copper stripe across the top and bottom. The center of the band features a black “2015” arranged in a diamond-like pattern. To the left of the “2015” is the text “CLASSIC” in copper font. To the right of the “2015” is the text “COVERS” in copper font. The back of the secondary band contains the new Avo slogan “SAVOR every NOTE” with the word “every” in orange” and the other words in black. As I normally do, I started my cigar experience by placing a straight cut to remove the cap of the Avo Classic Covers 2015. Once the cap was removed, I moved on to the pre-light draw phase. The dry draw provided a mix of chocolate sweetness, bread, and a subtle tingly spice that lingered a bit not he tongue. Overall I found the pre-light experience of the Avo Classic Covers 2015 cigar to be excellent. At this point I was ready to light up this cigar and see what the smoking phase would have in store. The start to the Avo Classic Covers 2015 delivered a mix of grass, chocolate, and assorted pepper notes. The grass and pepper notes moved into the forefront early on while the pepper notes receded into the background. A creamy orange note emerged in the background joining the pepper notes. Meanwhile, I detected black pepper on the retro-hale. At times the retro-hale had a sharper spice than other times. Throughout the first third I found the grass and chocolate notes alternated in intensity. By the second third, I found the chocolate notes had the edge. Meanwhile the orange cream notes diminished. and by the end of the second third, this note had pretty much dissipated. During the last third, I found the chocolate and grass mix returned with both notes once again alternating in intensity. There was a slight increase in the pepper spice, but it never quite eclipsed the chocolate and grass. This is the way the cigar experience came to a close. The resulting nub was cool in temperature and soft to the touch. I found the burn of the Avo Classic Covers 2015 to perform quite well. Overall I found the burn to take a straight path from start to finish. There was a slight amount of curvature on the burn line itself, but the cigar never was in danger of tunneling or coupling. The resulting ash had a salt and pepper color. One one of my samples the ash was quite loose, but this seemed to be more of the exception rather than the norm as the other samples did not have this issue. The burn rate and burn temperature were ideal. I found the draw of the Avo Classics 2015 to be open, but not loose. The cigar itself produced an ample layer of smoke. The resulting a low maintenance cigar to derive flavors from. In terms of strength and body, the Avo Classic Covers 2015 ranks as one of the stronger and fuller releases by Avo Cigars. While I still rank the Avo Limited Edition 2010 as the strongest and fullest Avo Cigar, the Avo Classic Covers 2015 definitely holds its own. The strength and body of this cigar start out in the medium to full range. Both pretty much stay constant until the midway point. It is in the second half that both attributes increase in intensity. By the last third, this cigar moved into being a full strength and full-bodied smoke. Throughout the smoke, I found both the strength and body balanced each other nicely although toward the end, there was a slight edge with the strength. I thought it was a bold move by Avo Cigars to move away from the birthday cigar concept. However one thing worth noting is that 2016 marks the 90th birthday of Uvezian. To me it seems hard for any company to pass up on a milestone occasion cigar and the 90th birthday of Uvezian is a big one. It will be interesting to see how Davidoff plays that one. In the meantime, I liked the concept and new direction of the Improvisation Series. The Avo Classic Covers 2015 is an excellent cigar and one that seemed to grow on me each time I smoked it. I didn’t make a connection flavor-wise to the original Avo Classic, but in this case I think the goal was to build something different – and this was definitely accomplished. Finally, I’m curious as to what aging will do to this cigar – whether it will mellow or change up flavor-wise. In the meantime, this is a cigar I’d steer to a more seasoned cigar enthusiast. As for myself, this is a cigar I’d smoke again and one that is box worthy. Cigar Coop, you are the closest thing to an AVO expert that I am aware of, and I appreciate your reviews, so I have a question for you. I am smoking through the AVO Greatest Hits box, several of them are outstanding. For me the Companero (2009), and the LE07 (2007) are amazing. I would buy them by the box if they were still available. I haven't tried the 22 (2002) and the LE 10 yet, which are described as among the best in the box, Others like the Legacy (2004), the la Trompeta (2012) and the 75th (2001) just weren't that special, IMO. Does this cigar compare with any of the LEs or is it just so different that a comparison is not possible? Thank you so much. To me there are some parallels to the Avo LE10, but I'd still categorize it as a different smoke. Classic Covers the first Avo LE to use tobaccos from four countries, and the first one to use Nicaraguan tobacco – so it definitely is different. The parallels seem closest because both are two of the stronger Avos. similar leaf stats, but your review of the 88 was enticing. Help! Both are excellent cigars. Classic Covers is very different than Winston Churchill, but still great. As for the Avo 88s, they have a year of age and are smoking at their peak.